International Peace day is celebrated annually on 21st September across the globe. 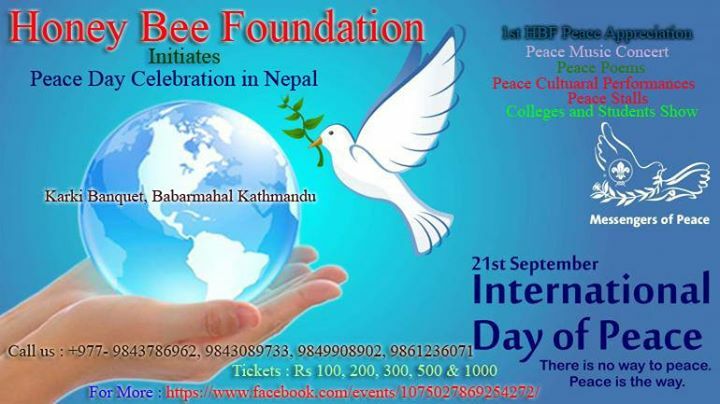 Honey Bee Foundation (HBF) is happy to announce that this year the day of global ceasefire and non-violence is going to be celebrated by us with the program Peace March and Peace Concert internalizing the theme ‘The Sustainable Development Goals: Building Blocks for Peace’. Through Peace March we aim to aware the people about the international peace day and SDGs wishing for the peaceful life and peaceful world. Peace concerts aims to bring the governmental sector, non-governmental sector, civil society, commercial sector and general people at a common platform to enjoy the day with the spirit of peace through music and cultural performances. Poem citation, instrumental music, many new bands and peace appreciation for peace builders in National Arena will be the new attractions !!! 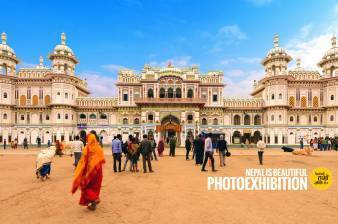 PreviousNepathya – Ho Rama Rama 2016 (HD). Never released, first time in YouTube. Live in NYC.